BioTek Marine has just released it’s new line of Tek Series Auto Top-Off Water tanks for your aquarium. These new elegantly US crafted water tanks are now available in the Tek Series Grey and Blue cast acrylic to complement the Tek series sumps. 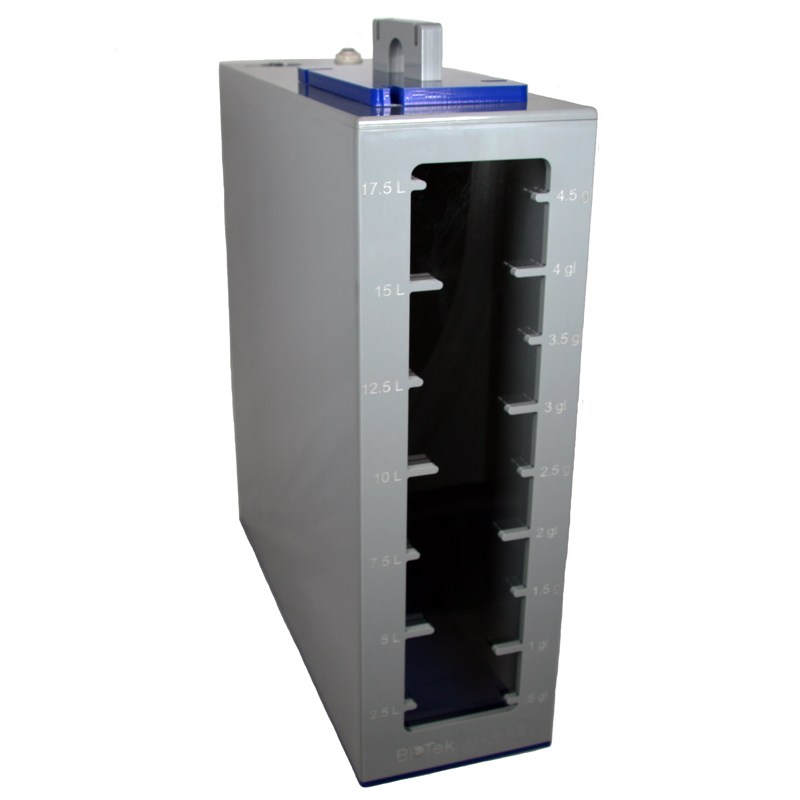 They are purposefully designed to match the Tek series sumps but they can easily be used alongside most any sump. Each model features an easy access port for the feed pump located on the back left corner. Additionally, positioned on the back right corner is a John Guest style push-in connector that accepts a water feed line. The 5 gallon model requires 1/4″ standard polyethylene water tubing while the 10 gallon Tek model requires 3/8″ tubing. Easily accessible graduated measurements are located on the front viewing window. Volume measurements are in both gallons and liters. 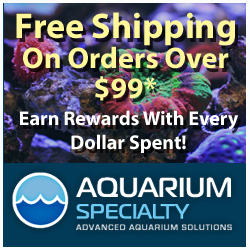 Retail pricing on the 5 gallon water tank is $159.00 and the 10 gallon version is $219.00. 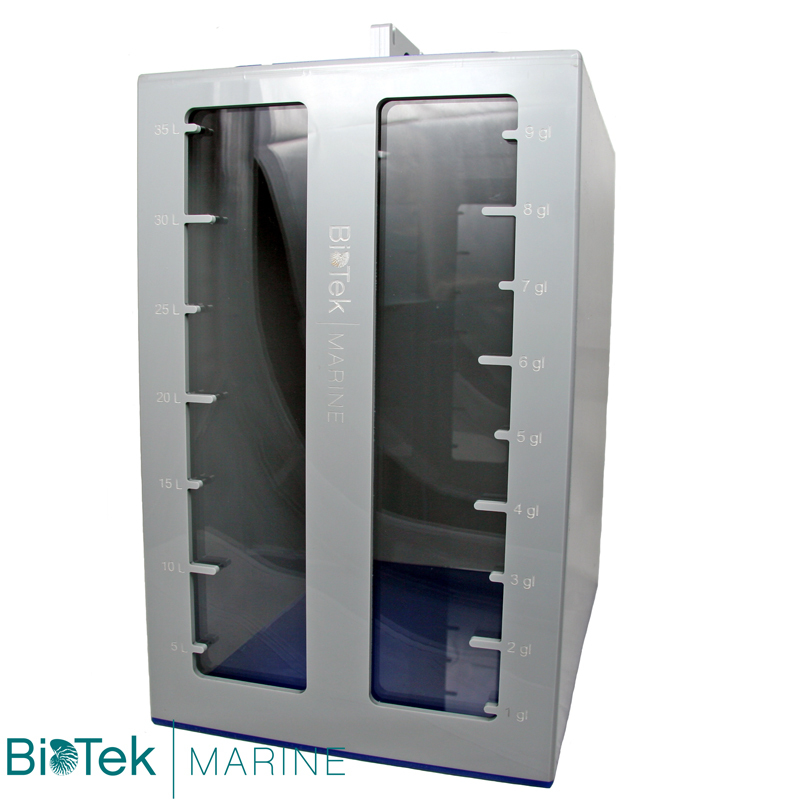 Click the link for more information on BioTek Marine products.